Though the future is still far from certain, Bugatti is considering a "lower-cost" electric model that would slot in underneath the expensive Chiron. Though no costs have been closely discussed, it is likely that it would be in the half-a-million-dollar range. Unlike the automaker’s current high-end performance vehicle, the Chiron, Winkelmann doesn’t see the need for speed, calling it “far less important” in the second model. Currently, Bugatti makes very high-end vehicles like the Bugatti Chiron, which costs $3 million a copy. The second vehicle’s price will be much lower than Chiron. Still, don’t expect the car to have pricing similar to another VW Group vehicle, the VW Beetle Final Edition – about $26,000 – because the car will be a Bugatti. Instead, the second vehicle from Bugatti will still command sky-high prices. According to the report, the new vehicle won’t have near the 1,479-horsepower of the Chiron. However, at about 800 horsepower the new model should have more than enough torque to get out of its way. That’s about the most substantial part of the project to the moment; the rest of the details are fuzzy as the automaker is still studying the project. Winkelmann did provide additional hints about the potential second model. “We cannot do a copy of what we do today. So a second car has to enable us to sell more than we sell today. It would be a different segment with a different price tag but above all the other competition. The price is not about positioning Bugatti out of this world. It’s about innovation, about materials, craftsmanship, all the things that are important to create a car which survives longer than the others and becomes a collectors’ item,” the Bugatti chief explained. One thing that Winkelmann didn’t respond to was the reports that Bugatti is creating an SUV. Indeed, there was never any indication that one is coming. And, even a second Bugatti is hardly a sure bet yet. VW is committing significant resources to electrification and autonomous technology. 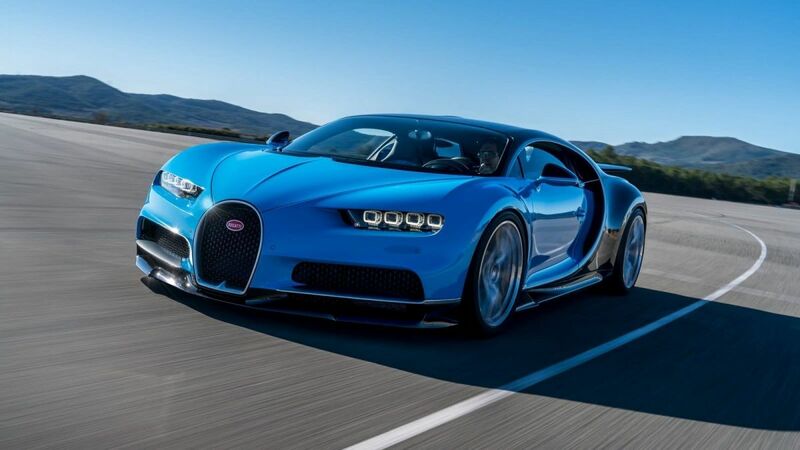 Because there is only so much money in the pot for research and development, it is possible that VW senior management could thwart Bugatti’s second vehicle. Indeed, it may end up deep-sixing the efforts of Lamborghini and Bentley which have both spent years lobbying VW management so they could add an SUV to their lineups. And, then there is the development time needed to make a vehicle real. It would take about four years of development before Bugatti roll one out the door to the public. That’s an age in the auto business, where many things can, and often do, happen.